We did the usual 6 mile round trip to church today at 10 degrees Fahrenheit (-12C). Soon after we left the house, she took off both her hat and gloves. Half way through the 25 minute ride there I asked if she was warm enough and she said she was. When we arrived, I checked her ears and hands, which she had done nothing to cover. Her fingers were warmer than mine, which had been under two layers of mittens! I already knew that the weather canopy works likes a greenhouse, but the insulation effect is even greater than I suspected. 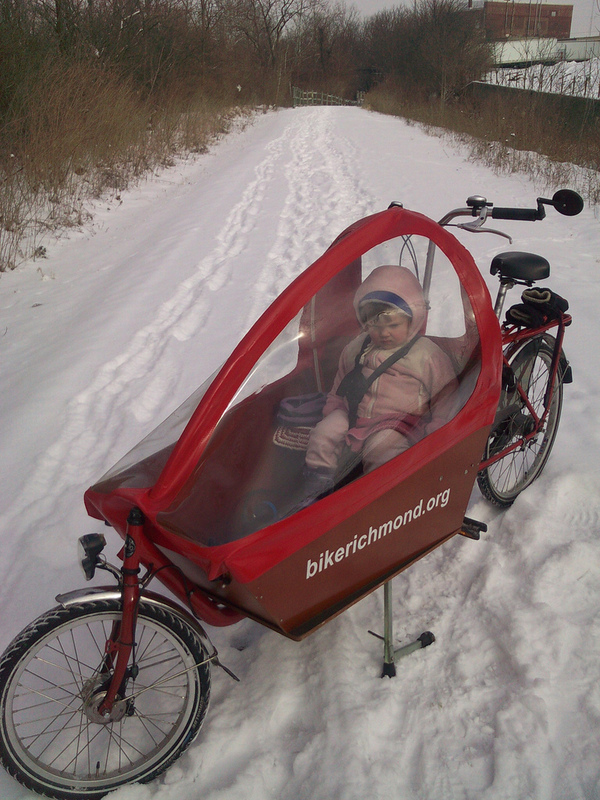 Even on our coldest days it appears to be warm enough for a child to sit under comfortably for trips around town.